In today’s multifaceted business process, mergers, acquisitions and multichannel customers, and multi-order capture made supply chain very complex. All these disparate processes and systems complicate enterprise-wide view of orders. This leads to lowered accuracy, lowered profitability, and poor customer satisfaction. When Oracle Fusion Supply Chain Management is implemented it shows u significance improvement in your business. With Oracle Fusion Supply Chain Management SCM Training we will get know all these things. Understand the complete P2P cycle and customize according to client’s requirement. Regulate the procurement process, setup supplier portals, and manage supplier qualification. Create online auctions and integrate with supplier portals. Understand SLA in the domains of cost accounting and receipt. You need a good internet connection (0.5 MB or 512 KB) with a headset. For lab exercises, you connect to K21 cloud remotely using VNC client that is freely available. During our training, we provide step by step instructions to connect to our servers in a word with relevant screenshots and video instructions. What are the career prospects for Oracle fusion SCM? Oracle Fusion Supply Chain Management SCM Training is useful for engineering graduates with production or manufacturing specialization. Our Oracle Fusion SCM Training will help you to gain the required skills and knowledge giving you an edge in this highly competitive corporate world. Candidates who undergo this training will get placed as Functional consultants, Techno-Functional consultants or technical consultants in Fortune 500 companies. Hi i am seshu from Pune, Fusion Duniya is an awesome institute to learn Oracle fusion applications through Online and classroom trainings. The best institute for Oracle Fusion SCM training with experienced faculty. I have got good support fr0om the trainer with real-time projects knowledge. Best Training institute for fusion SCM. As a fresher I join for fusion scm course at Fusion Duniya. Training was really nice and I learned a lot along with the real-time project. They helped me in interview preparation also. Thank you so much team. Hello everyone, I am Pradhnya from Pune. I took classes at Fusion Duniya for fusion scm. Training was really good and trainers are highly professionals. 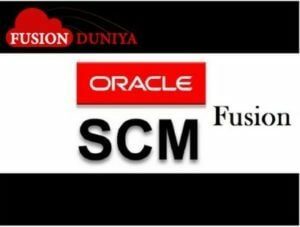 If you really want a good knowledge about fusion SCM then Fusion Duniya is a best for training. Sanket from Delhi. Recently Completed Fusion SCM Course at Fusion Duniya. Trainers are highly professional and training was also good. They start from basic to very advanced level so you can understand each term in details. Thanks Sir for your all support. I am Manoj from Delhi I completed Oracle Fusion SCM course at Fusion Duniya. I get a good support from trainer as well as support team throughout the training. Trainers are very very professional and experienced. Extra study material also they provide if asked. I recommend this institute to all. Hi this is Sayantan from Bangalore...I took self paced training of Oracle Fusion SCM. I got instance access to server and study videos was really good I learned I lot. I would like to recommend this institute those who really want to study Fusion SCM. thank you so much team. hello i am sandhya. As a Fresher i have completed Oracle Fusion SCM course. Training is excellent and Trainers are good. . Thank You so much for your training and support to improve my knowledge. Hi, Best Trainers for Oracle Fusion SCM. The training is good with Real Time Project. Trainers are good they share they knowledge from core. Thank you so much. Hai this is Charan. I have searched many institute for Oracle Fusion SCM. Fusion Duniya has impressed me with they Demo Class. So, without second thought I have joined here. In the short period they completed course with out delay. Really the Trainer are good and they training is excellent. Thank you. Hi this is Naveen. I have done my Oracle Fusion SCM Course. They teached me from the basics. Really training is excellent. Thank you so much. Hai this is Eshwar. Best institute for Oracle Fusion SCM. Training is excellent, Trainers are very supportive. Thank you. Hai this is Venu. Best trainers for the Oracle Fusion SCM. They Support me from they core. Thank You so much. First of all, I would like to thanks to all Fusion Duniya Team. I learned a lot here and supportive team is really very nice. They helped me in Placement also.. This is the best institute for oracle fusion SCM course in Hyderabad with the real-time project and every student to learn the subject in a Real Time Scenario. Thank you so much, sir. Nice institute for learning Fusion SCM. Just completed online training and had a good overall experience. Trainers are committed and give extensive knowledge in Real Time Application Implementation. Thank you Fusion Duniya for giving passionate learning opportunity. Hi I am Priya from Delhi. I have taken Fusion SCM online course. The training was really good and trainer has given us real time experience in learning and I prefer anyone joining with Fusion Duniya.